When your business moves to the next level, it's time to invest in some mid-range corporate compendiums emblazoned with your logo design. These medium priced units won't strain the accounts department, but they also manage to provide additional features, and premium finishes unavailable in our budget compendium range. Aussies love a good corporate compendium both in the workplace and in community or sporting groups. Compendiums help keep paperwork organised, important documents at hand and items such as USBs stored safely. Our mid-range compendiums are the perfect corporate gift for Australian clients, or as workplace accessories for your dedicated staff. Here at Compendium Planet we are experts at logo branding designs directly onto corporate compendiums. We utilise premium branding methods such as pad and screen printing, digital printing, logo debossing and laser engraving on any metal plates. These techniques will help lift your mid-range portfolio into something even grander to behold. What is a Mid-Range Compendium? Compendiums are popular corporate accessories that hold your note taking materials, USBs and other important items when you're conducting business or study on the move. Mid-range compendiums are made from faux leather or premium blended materials to make effective promotional products that have an expensive look, without pushing the price tag too high. Give them out at your next corporate retreat or hand them out to your sales team today. Be the star with the Gustine Brandable A4 Compendium. Our mid-priced custom compendiums are our bestselling category. The key difference in these items is their typically superior overall finishes. Some of our customised compendiums also come with split leather, which is faux leather on the outside and real leather on the inside. If you want marketing merchandise that is durable and a step higher in quality and aesthetics, then this range is for you. As an added bonus, our custom compendiums are priced at a competitively low rate! Order yours today. Indent Your Standard Custom Compendiums Today! If in the small instance that you do not see the compendium that you like on our website. Or perhaps you would like to add some additional features and functions that will make it unique. Maybe even a compendium in a blue or green colour perhaps? Then an indent custom made compendium may be a good option for you. With minimum runs starting from 250 pieces we can have a compendium created and made just for you. Better still you can save money at the same time. 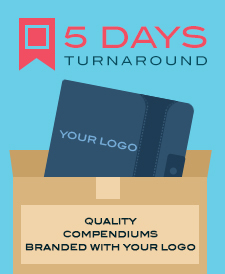 Turnaround time may range from 4-10 weeks. Please contact a team member to find out more. Country of Origin - Our mid priced compendiums are branded right here in Australia. They are also stocked in our warehouse too in Australia. They are orginally manufactured overseas in China under strict quality control conditions. They are also inspected for quality prior to delivery into Australia. 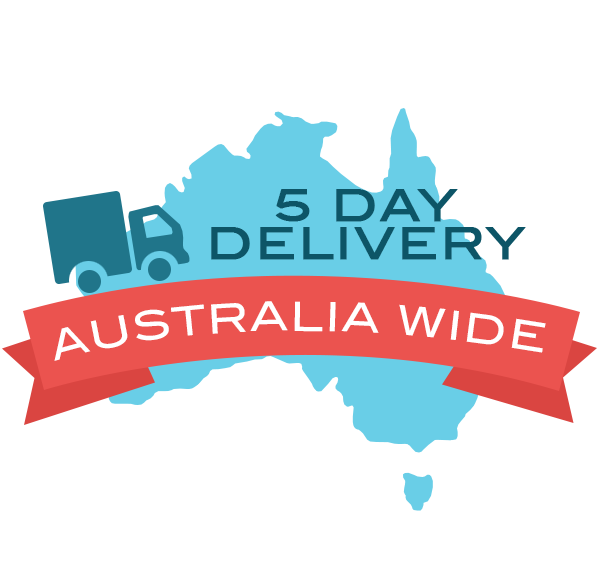 We deliver right around Australia. The turnaround time is approximately 2 weeks for production. If you did need your compendium branded with your logo in a hurry please let our sales team member know. Generally we are able to work towards your date. If you do not require branding on your compendium then delivery will be 1 - 5 working days depending on your delivery location. Samples are available of course if you would like to have a feel of the actual product itself. Samples are normally charged (unless otherwise indicated by a sales team member) at a discounted price plus delivery. We would be able to send out compendiums on a next day courier delivery. If you would like to see your logo branded on one that is also possible. For a free visual image of your printed compendium simply email us your logos or images or text. Lastly if you would like a compendium with your logo branded that is possible and is called a pre production sample. These are charged per unit plus set up costs and delivery. A sales consultant would be able to advise.